Inspired by the orbital patterns of the eighty-three naturally occurring Elements in the Periodic Table and their relationship to Plato’s view of Sacred Geometry, this collaborative project with sound artist Susan Alexjander also includes large Platonic Solids in the process of unfolding, representing the five original Elements and the particles that hold them in tension and compression. Composed by Susan Alexjander and derived from Larmor Frequencies (radio waves) emitted from nuclei of atoms and translated into tone. 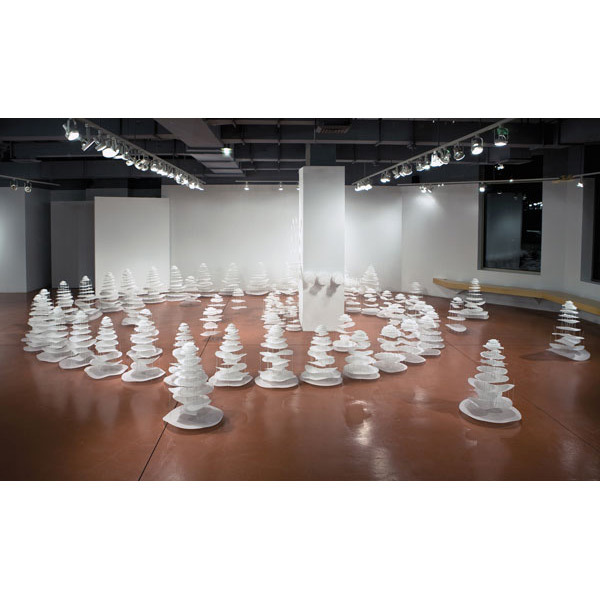 Divining Nature: An Elemental Garden was included in the STEAM exhibition at ArtsWestchester curated by Patricia Miranda for the Summer 0f 2014. 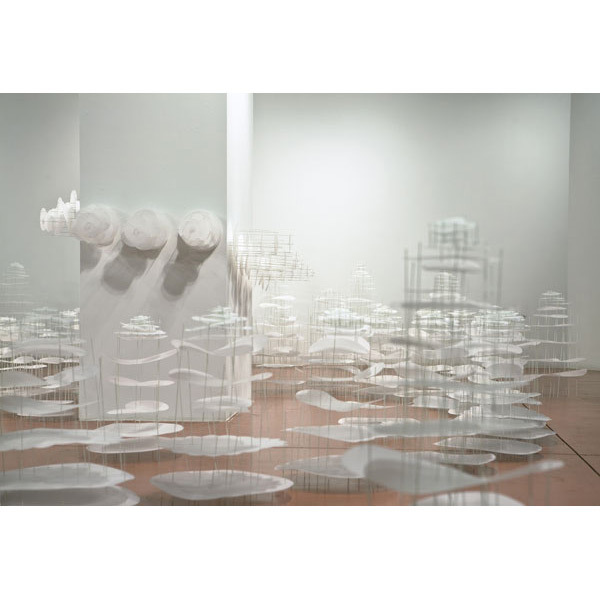 See photographs of Rebecca’s installation in the exhibit, below, and click this link to view the online version of their STEAM catalog of the exhibit. On page 8 you will find the “Scientific” topic in which Rebecca’s work is discussed. Also see Page 19 of the catalog for more about Rebecca and Susan Alexander. Click this to see all photos from the ArtsWestchester exhibit. 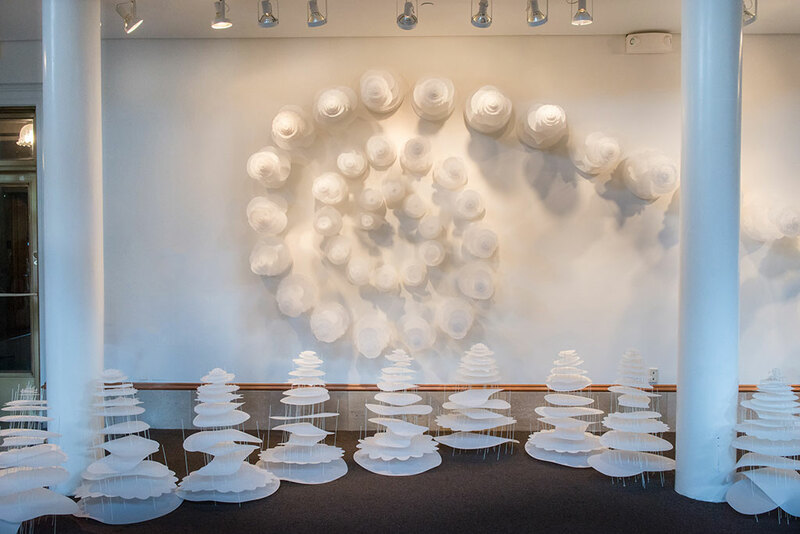 The New York Times showcased Rebecca’s installation “Divining Nature: An Elemental Garden” in their July 25, 2014 article “Putting the A in STEAM” by Susan Hodara. 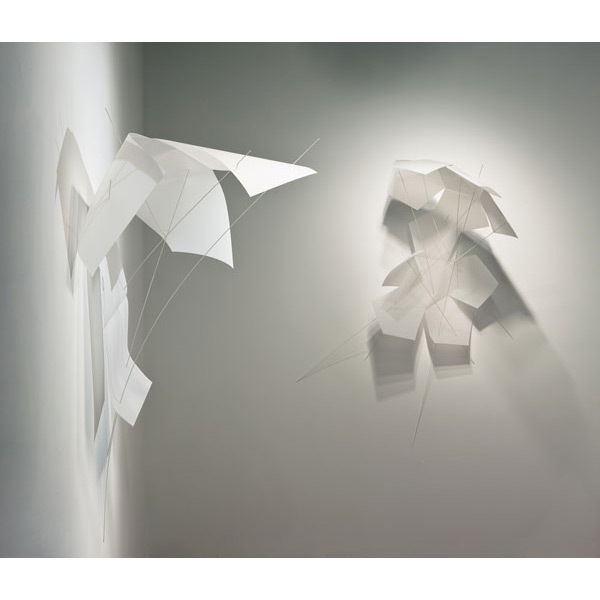 The article quotes Rebecca and includes images of her installation. Click here to see the entire article that includes Rebecca’s work. The Royal Society of Chemistry in England showcases Rebecca’s “Divining Nature: An Elemental Garden” in the July, 2014 issue of their Chemistry World publication. 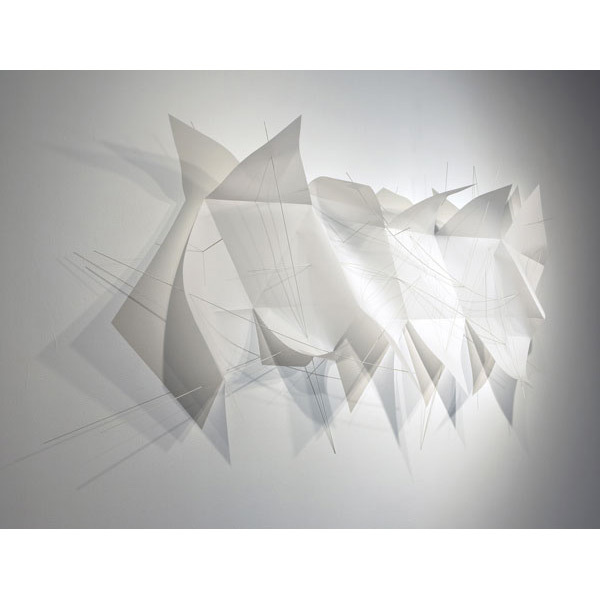 Jennifer Newton also includes a “Periodic Art” sidebar in her “Unwitting artists” article that shares thoughts about Rebecca’s work from organic chemist Tami Spector. Click this to see the entire article as a PDF graciously provided by Chemistry World (http://www.rsc.org/chemistryworld/) copyright: Royal Society of Chemistry. The periodic table project, Divining Nature: An Elemental Garden continues to inspire others, this time as part of an online chemistry course developed by Harvard University’s Science Media Group for the Annenberg Learner Series. Scroll down the page and see the box titled: “The Periodic Table as Art”. 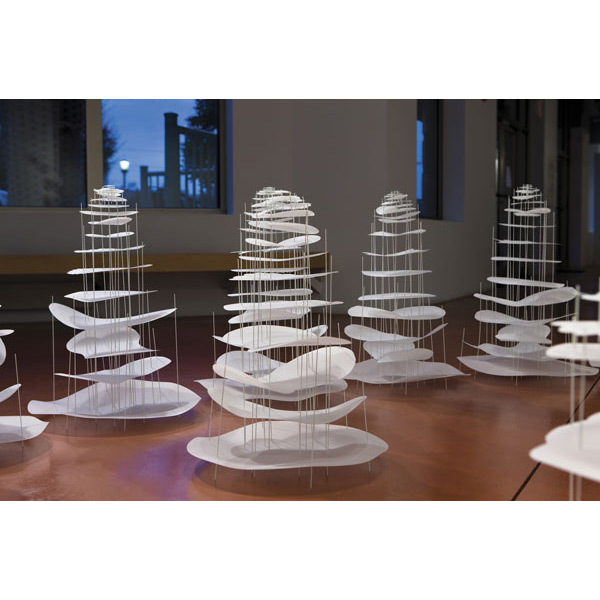 Rebecca Kamen: A sculptor nurtures an elemental garden by Ivan Amato at the Chemical & Engineering News website. Chemistry made Art: Rebecca Kamen’s Elemental Garden at the Philadelphia Area Center for History of Science website. Perambulating In An Elemental Garden by Ivan Amato at the CENtral Science website. 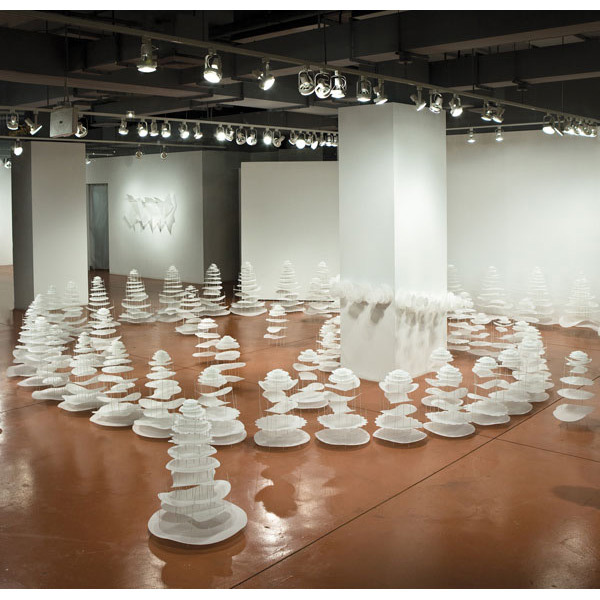 Rebecca Kamen and the Elemental Garden: Where Art and Science Meet by Julie Schauer at the Artventures blog. Interdisciplinary Crossover and Collaboration published by the Office of Policy and Analysis. 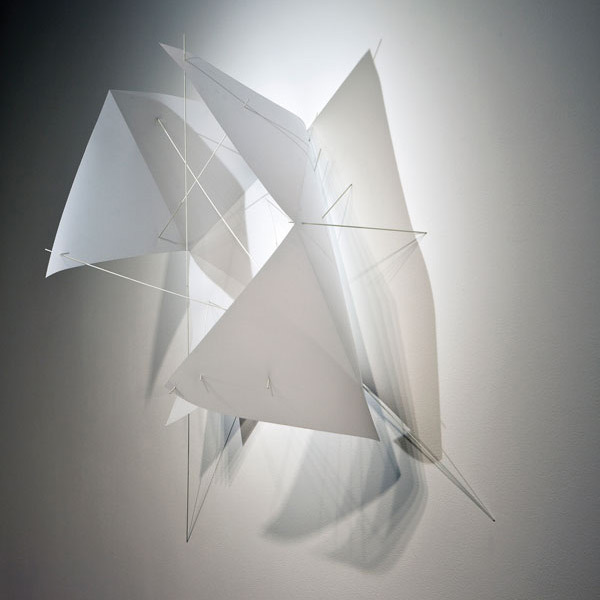 The article describes Rebecca’s installation and discusses her interest in science. Click this to see a PDF of page 58 about Rebecca and then click here to see the entire publication at the Smithsonian website. ©2019 Rebecca Kamen, all rights reserved.